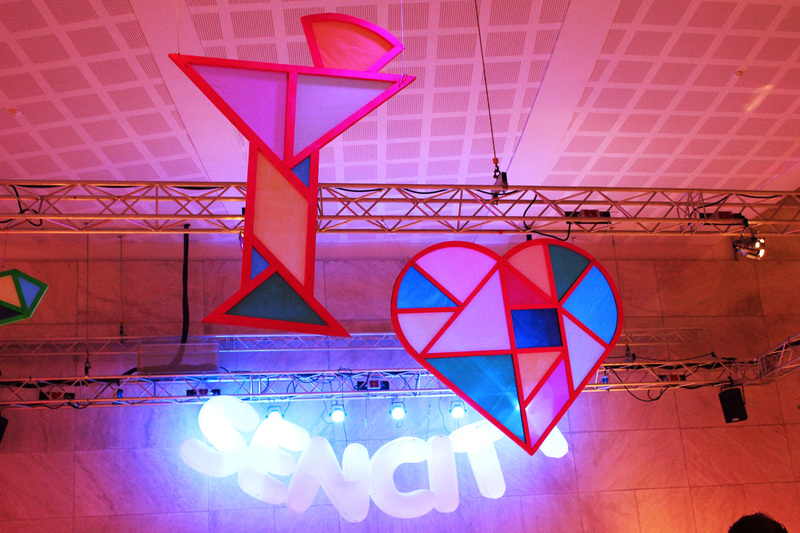 Sencity Festival asked us to think about the decor that would be hanging in the air during their event in the Doelen. 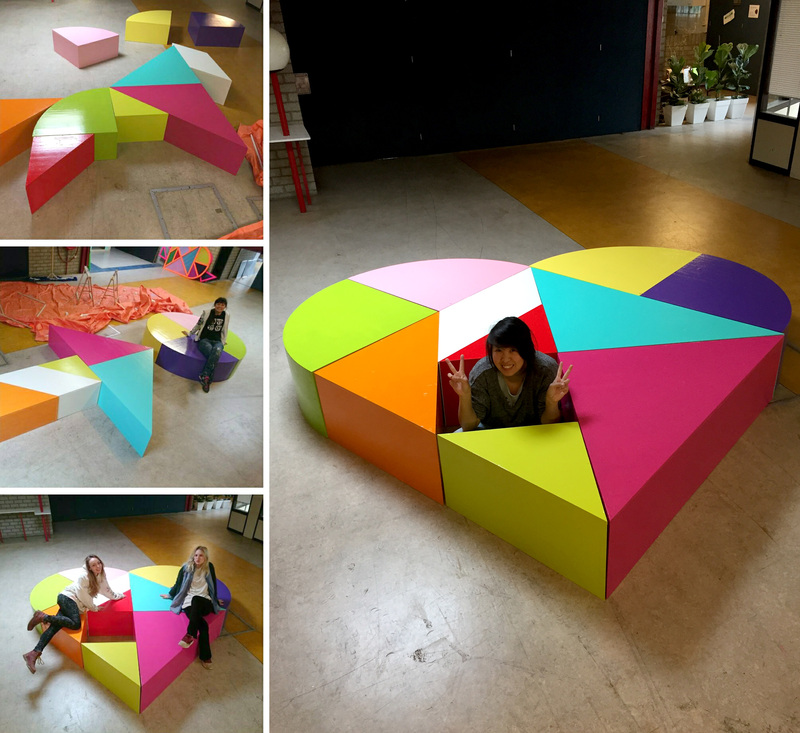 Triggered by their main gathering point named ‘Festivalhart’ (Festival Heart), we made a huge interactive heart of 3 meters from wooden blocks. The blocks had different sizes, shapes and colors inspired by the shapes of the tangram puzzle. 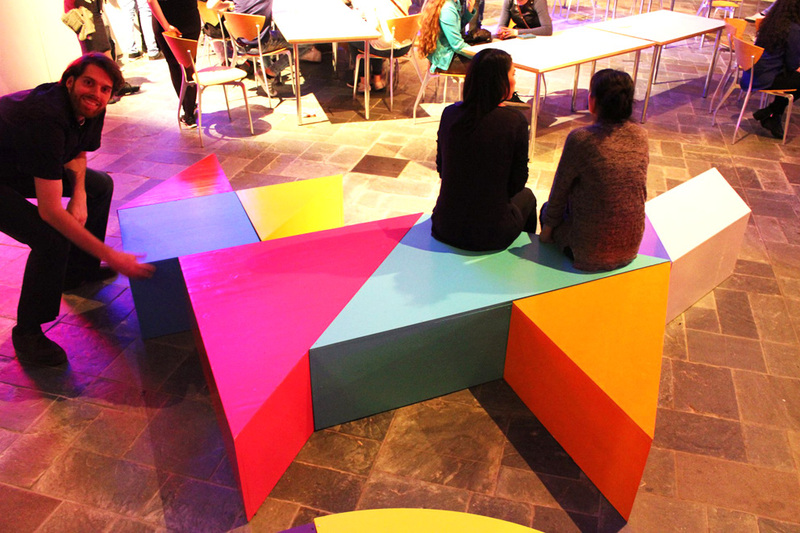 Besides sitting on the blocks, the festival crowd was able to move all the blocks to create new shapes and figures out of it. By looking at the decoration in the air, visitors could see the same shapes of the blocks and they could move the blocks to create the same images as the decorations as examples. 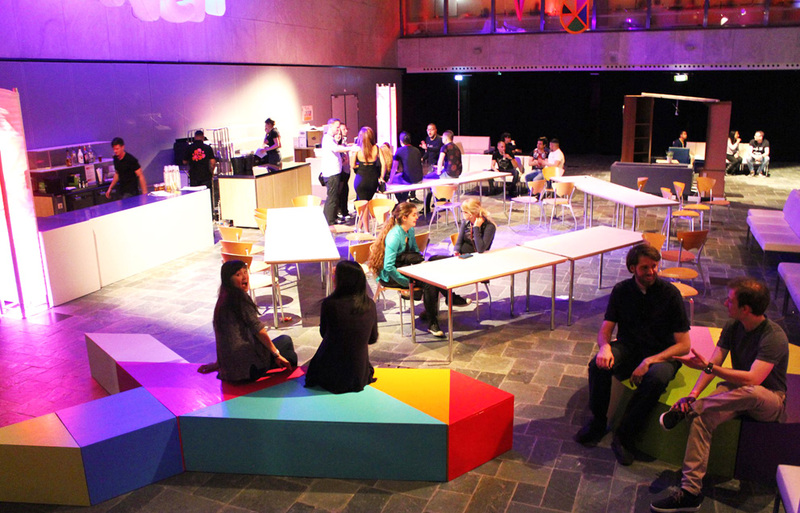 It was possible to make many different shapes like a cocktail, a rocket, an arrow, a dancing puppet or a giant fox. The air decorations varied in size from 1 till 2 meter in length.